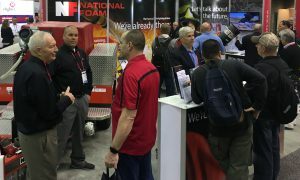 National Foam offers a number of high capacity monitors mounted on trailers. 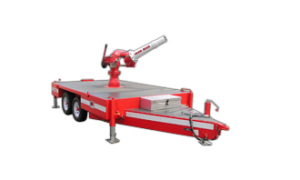 The Iron Man is a trailered foam and water delivery unit capable of various flows with interchangeable tips up to 10,000 gpm with ranges in excess of 400 feet depending on conditions. The Iron Man Nozzle is capable of changing its stream pattern from straight stream to semi-fog via an integral hydraulic patterned control system. The unit is suitable for both Synthetic and Protein based foams. 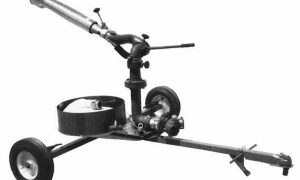 Stabililty is designed into trailer using ballast tanks and 4-point leveling system. Monitor movement is 340º rotational, +15º to +90º elevation. 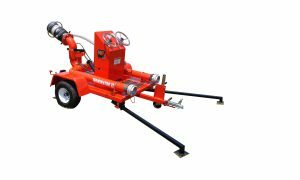 Terminator II is a foam/water delivery device equipped with a self-educting gladiator nozzle. It features straight stream to fog pattern adjustability, turn and click flow adjustment and a self leveling stability system. 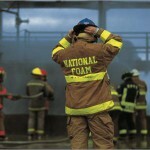 It delivers outstanding foam range and foam quality. 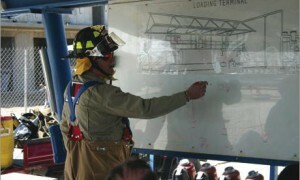 Flow ranges available from 1,500 to 3,000 gpm. This unit’s compact and lightweight design offers the capability of manual deployment.